When Old London Bridge was demolished in 1831, it was decided with typical Victorian frugality to sell off some of the old bits and bobs of stonework. Although they were ostensibly part of the medieval bridge, they had largely been added during an 18th-century reconstruction. The best surviving examples are the old stone alcoves. 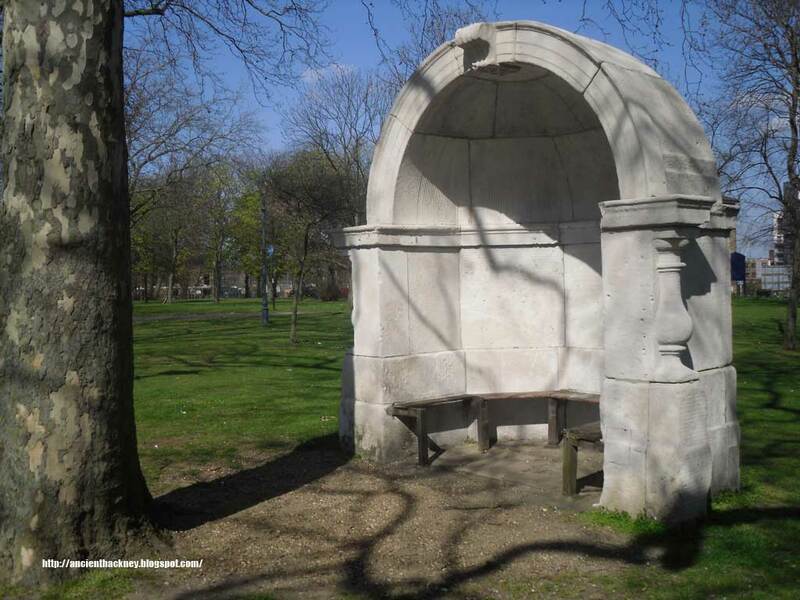 One other stands in isolation in a courtyard in the grounds of Guy’s Hospital (now with a statue of John Keats as the London Historians blog explains), while the fourth, somewhat bizarrely, has ended up in the garden of a block of flats in East Sheen. This is the Courtlands Estate, and there were originally two alcoves, or ‘porter’s rests’, but one ‘disappeared’ during renovation in the 1930s, as did some balustrading from the Bridge that was used as a wall. Further balustrading was taken to Herne Bay, but this was lost in the storm of 1951. An arch from the bridge was discovered in 1921 during the rebuilding of Adelaide House, but this was deemed too expensive to preserve and was destroyed. One stone, though, survived, and is now preserved in the churchyard of St Magnus the Martyr. One final bit of the bridge that survives can be seen above the door of the King’s Arms on Newcomen Street in Borough. This was the coat of arms that had been added to Stonegate – the bridge tollgate – during rebuilding in 1728 but was demolished in 1760. Update Since writing this I have learnt of more rescued balustrades from Old London Bridge. These sit in Myddleton House Gardens in Enfield alongside a piece of the original St Paul’s Cathedral, which burnt down in 1085.